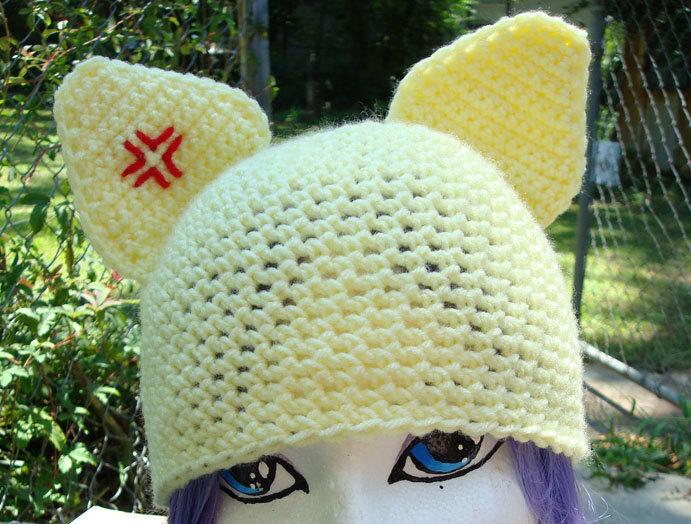 Whether you are an anime fan or not you are sure to love this kitty hat. I consider this a spring/fall hat, keeps you warm but lets your head breath. 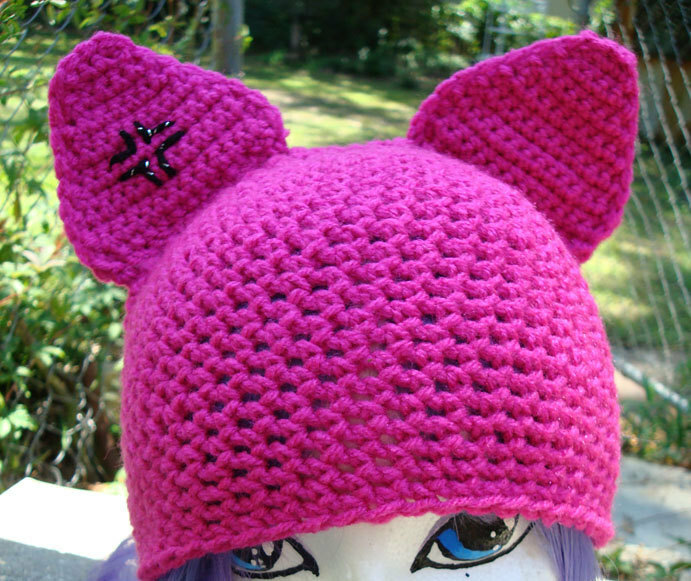 For cooler weather I suggest crocheting hat with two strands of yarn. Made to fit teens and adults. 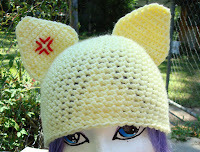 After you are finished crocheting ears stitch an "angry" emote on one ear. The placement and style doesn't matter. After you have stitched the emote sc each pair of ears together (one back, one front). Fold hat in half then place and sew ears. Make them in any color.